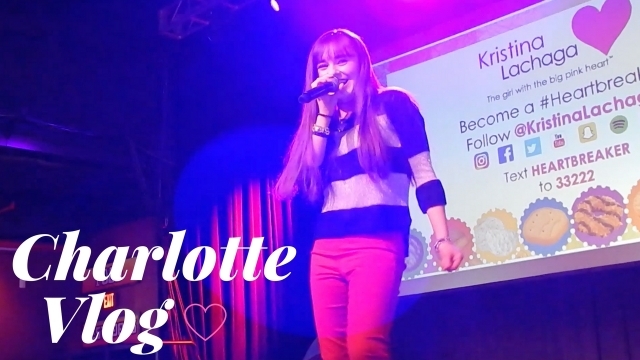 YOUTUBE VLOG: I'm taking you with me to Charlotte, NC! P.S. Don't forget to download your Charlotte Meet & Greet photos HERE! P.P.S. You can watch my Facebook LIVE performance from the Cookie Rally on Girl Scouts, Hornets' Nest Council's Facebook page! Text HEARTBREAKER to 33222 to receive a free song download, hear a sneak peek of Kristina's new music, get exclusive updates, 1st access, and more!